This past weekend the Basketball Japan league leading Osaka Evessa came to Okinawa - Osaka Prefecture neighbors the prefectures of Hyōgo and Kyoto in the north, Nara in the east and Wakayama in the south. The west is open to Osaka Bay. The Yodo and Yamato Rivers flow through the prefecture. 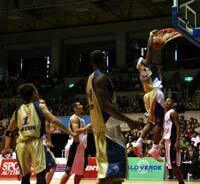 The Ryukyu Golden Kings faired very well against the best team in the league. 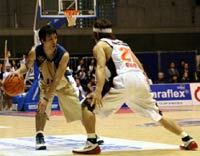 In fact, they almost pulled off a huge upset on Saturday the 23rd at Naha Gym. With a winning record of 28-6 to the Ryukyu Kings record of 7-23, many people probably thought it was not going to be close. Well, Hernando Planells’ team showed everyone that they are no pushovers. Fighting to the very end, they came up just a bit short and lost 77-75. The second game wasn’t as close but once again the Ryukyu Kings showed that they are a team that needs to be taken seriously despite their losing record. 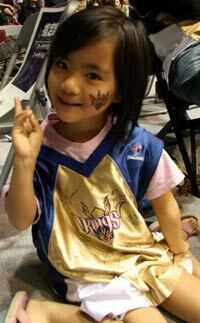 The Kings came on strong in the end and outscored the Osaks Evessa 30 to 23 in the final quarter but it was too late because the Osaka Evessa had already built up a sizeable lead. The final score was 76-88. The next two home games for the Ryukyu Golden Kings are Friday March 22nd at 19:00 at the Naha Gym and Saturday March 23rd at 14:00 at the Naha Gym against the Takamatsu Five Arrows - Takamatsu is the capital city of Kagawa Prefecture on the island of Shikoku in Japan. It is located on the northern shore of Shikoku and faces the Inland Sea.